My name is Samantha, I am a wife and mother of two. 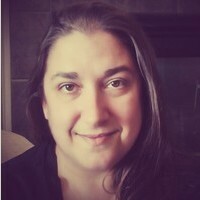 I am a Licensed Clinical Social Worker in Indiana with over 15 years of experience working as a therapist in private practice working with youg children all the way to older adults and consultant with community mental health as well as hospice. I have worked with clients with a wide range of concerns including depression, anxiety, relationship issues, parenting problems, career challenges, OCD, ADHD, addictions, personality disorders, and sexual issues. I also helped many people who have experienced physical trauma or emotional abuse. My counseling style is warm, interactive, and open minded. I believe in treating anyone with respect, sensitivity, and compassion, and I don't believe in stigmatizing labels. My approach combines cognitive-behavioral, humanistic, psychodynamic and rational-emotive counseling. I will tailor our dialog and treatment plan to meet your unique and specific needs. I look forward to working with you!I have had many life experiences and have worked with young children to end of life issues. I am adaptable and open minded. All it takes is one time communicating with me and you will know that I can help you on the journey that you are ready to take.